We're privileged to feature a great shooter from the U.K. in this story. A gifted natural marksman, Russell Simmonds has ascended to the highest level of World Competition in just a few seasons. Using an affordable rig that is "low-tech" compared to many F-TR rifles used in international matches, Russell shot brilliantly to win the 2009 F-TR World Championship, held at the famed Bisley Range in England. 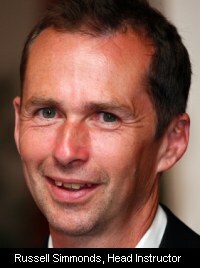 Shortly after that impressive victory, Russell won the 2009 British League F-TR Championship AND the European F-TR Championship -- both for the second year in a row. In just a few short weeks, Russell captured three major championships, competing against many of the world's best marksmen. That is truly epoch shooting. In this story, Russell reveals how he went from full bore beginner to world champion. I am fairly new to full bore shooting, I used to do some pest control on a local chicken farm with an air rifle about 17 years ago. I only got into full bore shooting in 2002, after a short stint with a .22LR rimfire used for 25-yard, practical rifle-type shooting. I got bored with the rimfire quite quickly, so in 2003 I brought my first full bore gun, a Steyr chambered in .243 Win, which I used for short-distance shooting. I then joined the Dorset Rifleman Club, whose members mainly shoot F-Class. With the Dorset Club, I started shooting out to 600 yards at big Bisley-type targets. In 2005, I shot my first long distance match out to 1000 yards and loved it. I quickly found that my .243 struggled at 1000, so I put together a .308 with a 26" barrel and a Rem action housed in a Choate stock. The gun was competitive out to 900 yards but that extra 100 yards (to 1000) made it very difficult and I would slip down the club ratings. Much of this, of course, was my inability to read the wind as well at the longer distance. I persevered with my .308 for a couple of years, but I only shot long distance three times a year and my 26" barrel was not ideal. I then had a 6mm Dasher built by Neil Mckillop (MckillopRifles.com), a respected gunsmith in our club. Neil built me an excellent, accurate gun that shot well out to 1000 yards. With this gun, even though I was only using a bipod, I found I could be competitive at the longer distances and could finish up with the Open Class guys at my club. At the end of 2007 I had been thinking about joining the GB F-Class and competing in the upcoming 2008 league events scheduled around Great Britain. After reading some of Vince Bottomley's articles in Target Sports magazine, I took the plunge and ordered a Barnard S action and True-Flite barrel from Brian Fox of Fox Firearms. I asked Neil to build me another gun so that I could enter the TR (Target Rifle) class using the .308 Winchester cartridge. For my new .308, I picked the Barnard S action because it has a Remington footprint and would fit my favorite Choate stock. Once Neil gathered the parts and completed the chambering, I visited his shop to inspect the stock's inletting. It was a pleasure to see someone (Neil) who was so thorough and took such pride in his work. All that was left for me to do was bed the gun. I had never done that before, but after researching on the net, especially the 6mmBR.com website, I successfully bedded the action with Devcon. I then fitted scope and rings and headed off to Bisley to run the gun in. Russell Simmonds' .308 Win F-TR rifle combines some high-end components with some very affordable parts. The action is a Barnard S fitted with a Jewel trigger. The barrel is a New-Zealand-made 32", 1:14" twist True-Flite. It shoots very well. Readers may be surprised that the stock is the relatively inexpensive Choate Ultimate Sniper/Target model. Simmonds favors this Choate design as it allows him to shoot in a very stable position, with the rifle placed low to the ground. The scope is a Leupold 8.525x50mm LR/T with fine duplex reticle. Scope rings are Leupold as well. Russell says: "I know that there are other excellent scopes that offer more magnification. But, compared to some more expensive optics, the Leupold is a good value and it certainly proved itself at the World Championships". Russell added: "A gunsmith in my club, Neil Mckillop, MckillopRifles.com, did the chambering work. He has built some very accurate guns for other club members". Having decided that I would only shoot 155gr bullets, I had ordered a 30", 14-twist barrel and hoped it would work. I made some test loads and did a quick break-in: fire one and clean for the first five shots; fire three and clean for the next 15 shots. I ended up firing some 5-shot groups and quickly learned that the gun would shoot very well. Though the gun showed great promise, I did spend a lot of time developing a good load. I tried various powders and primers, ending up with a load using Varget powder, CCI BR primers, Lapua brass, and Lapua bullets. 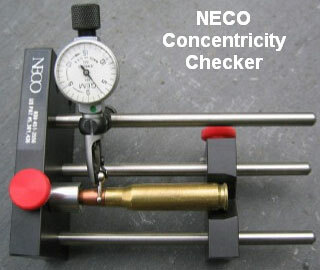 This delivered around 2990 fps, with the smallest 5-shot test group measuring 0.272". Things looked good. However, on entering my first club competition I found that I was not handling the .308's greater recoil very well. The light-recoiling Dasher had spoiled me. With the .308 I had become recoil-shy and was not holding the gun well. To correct that, I practiced a lot, working to perfect my grip/hold. The practice paid off. 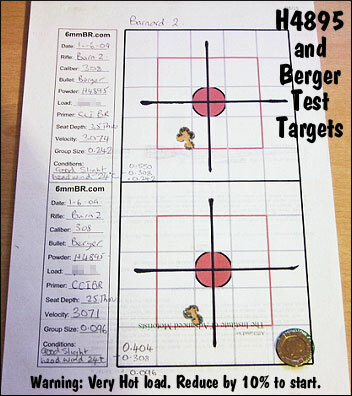 To back up a little, while I was waiting for the .308 barrel to arrive, I entered the GB league F-Open Class at the Diggle Range with my 6mm Dasher and learned that 6mms are not competitive at Diggle! I didn't place dead last but I was not far from the bottom. My experience at Diggle made me all the more anxious to get the .308 completed so I could shoot F-TR. My first event in the TR class was at Bisley. Although my main concern was not finishing last, I enjoyed the event and ended up third. Encouraged, I decided to compete at Blair Atholl in the Scottish Highlands. Horror stories are associated with the Blair range, which some consider to be the second hardest range in the world! All I can say is that Blair Atholl is the most scenic range I've ever seen, AND it was kind to me. I won the Blair Atholl match, earning my first-ever F-TR win. I try and study winds everywhere I go. I look for signs of what the wind is doing... if mirage is present, I am always trying to work out if it is showing the true wind conditions. check for mirage wherever I am. This now put a different light on the league standings as the top six could make British team for the 2009 World Championships, and my two events gave me quite a high placing. The next event was at Diggle. Again I finished third (just 3 points covered the top 3 positions) and felt disappointed. I made a couple of wrong wind calls and had pulled a couple of shots badly. This meant that, to win the GB League, I would have to win the last event, the European championship, while my nearest rival only had to place third or better. I decided to try and win the event so I practiced more at the long distance shoots, shooting at least twice every month before the Euro Championship. The 2008 European championship was an intense event that went down to the final stage. I was named the overall winner while my main GB League rival finished seventh. That meant that I had captured the British League Title as well and would represent Team Great Britain in the Worlds in 2009. The first event of 2009 was at Diggle and I had my worst result yet. Using my 2008 rifle, I was competitive at 800 and 900 yards but during both 1000-yard stages the gun went off the boil and I dropped down the list. When I came back home I went out and tested my loads. I found that due to changing to a different lot of powder my velocity had dropped off 60 fps, and I was nearing subsonic at 1000 yards. For the 2009 season I had another .308 built. Components were identical except the new barrel was 32" (two inches longer). Again I got Neil Mckillop to smith the gun and I bedded it myself. Unfortunately, I couldn't get the new gun to group well. I had started off using my 2008 load data and it just wouldn't group below 0.6". The velocity was acceptable, but not the accuracy. After reading about the new Sierra Palma bullet (#2156) and the new Berger 155.5-grainer (#30416), I decided to try them out. I first tried the new Berger bullet. Instead of seating it close to the lands I brought it back quite away and then suddenly the groups shrunk down while the velocity stayed up. So I played some more and then got a group that measured roughly 0.1" at just about 3070 fps. That is the load I stayed with, using Hodgdon H4895 powder, CCI BR primers, Lapua cases, and Berger 155.5s. At right is one of the test targets with H4895 and the Berger Palma bullets. CAUTION: This is a very hot load and it may not be safe in your rifle. Start 10% low and work up. The next event for the GB league was held at Bisley. I was confident and ended up winning the match with a margin of 20 points over my nearest competitor. I would have placed 3rd in the Open Class. The gun was working well, and I was looking forward to the World Championships. I did some of the long range match rifle shoots with Team GB and found the gun worked very well out to 1100 yards but did suffer a bit at 1200. This very long range practice did help me learn to read the flags better. Before the World Championships I tried to focus solely on winning. All of this year (2009) I practiced plotting each shot. This was new to me, but we had been shown how to do it during a team training exercise. Throughout the Worlds I plotted and tried to stay very focused. At the Worlds, I felt that as long as I stayed in contention at the shorter distances, the 1000-yard distances would be the deciding factor. In the end it came down to the last 1000-yard shoot, a 2+20 which was the longest of the competition. This was the only stage that I felt I shot well, evem though I knew I had dropped 16 points. I came off the firing point telling everyone that I had scored a 75 and was really disappointed to be beaten by so many people. It was only when I said that I had dropped a total of 15 points and someone noted that I had scored 85 not 75 that I realized I still had a chance at a medal. I thought that I might have won a stage at long last but fair play to Stan Pate who shot better than me to pip me by one V bull. But I still scored high enough to win the individual F-TR title. 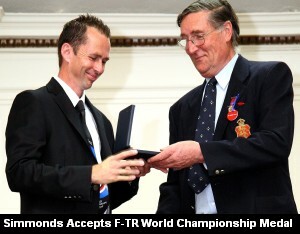 I was very happy to win the first F-Class FTR World Championships. I take my hat off to a lot of people -- there are many very fine shooters and the standard at the Worlds was very high. I am already looking forward to the next Worlds in New Mexico. I feel that the team shoot was a good result but it would have been nicer for Team GB to have won gold instead of silver! Who knows what will happen next time? This year I have practiced a lot more, mostly at 900/1000 yards as that is where all the F-Class comps are shot. I feel that comps are won and lost at the 1000-yard stages. The majority of guns can all shoot fairly well at 800/900 yards but 1000 yards is the real test. At 1000, you are not only testing the gun, but your ammo and wind reading have to be up to the task as well. I feel that, as long as I can stay in the running at the shorter distances, I can normally pull the points back at the 1000-yard distance. 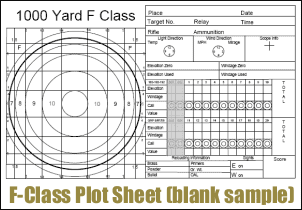 I try to mainly practice on F-Class targets, as it is easy to kid yourself when shooting on big Bisley-type targets. The week before big competitions I try to do a practice shoot -- just to make sure I am still spotting the wind changes and reacting to them correctly. If all goes well, it is a confidence booster... and if it doesn't go well then it's better to make mistakes during the practice! I will always get to my allotted firing position well before my stage time as I like to watch the flags to get a rough figure for the wind. I want to make sure that my first sighter hits the board. I did get caught out at last year's European Championships. During the last stage of the competition, I over-estimated the wind and my first sighter missed the board completely! Luckily for me I saw the sand splash on the left of the target so I could make some very hasty calculations. At least that got me on paper, with my second sighter being a 3 and my first record shot scoring a 5. I tend to be very focused (and quiet) before the start of a stage, and tend not to talk to many people. Instead, in my mind, I'll run over all the kit that I'll need, making sure I have the correct amount of bullets for that stage, correct plotting sheets, shooting mat and so on. When going on to the point (shooting position), I like to be able to set my mat, gun and everything up just how I like it. I will always pat the back of the stock down into the bag a couple of times and then push the gun forward and backwards to make sure it's well-situated. If I am happy, I will then just concentrate on my breathing and, as ever, start watching the flags for any changes. Before the start, I'll watch the wind flags, trying to see if there is one flag working better than the others. I'll also watch other shooters who shoot before me, seeing if they are spotting the changes. In a comp earlier this year, just prior to starting a shoot, the wind was blowing right to left. While setting up my kit and gun I noticed the flags starting to drop and just before the shoot they turned so they were blowing left to right. As soon as the match started other competitors' shots were being blown out to the right as they had the wrong wind on. Luckily I had spotted this as I had set my gun up quickly and then studied the flags again. I try to tune in to the wind -- to feel at one with the wind. At times, when I managed to do this well, I've even altered my wind setting before seeing the change and it has worked for me. I also practice wind coaching (for other shooters). I find that I can predict where the shots have gone and this benefits the shooter while I learn from it as well. Whilst shooting I am constantly checking the flags/mirage and quite often I will delay the shot if I am not happy with the wind, and will make last-second corrections to the scope. I dont aim off (hold off) at all -- I get lost doing that so I am constantly clicking wind on or off depending on the conditions (see photo). I always evaluate my plotting sheets after the event and see where I can improve. I like to enter as much weather information as possible on the plotting pages. That information can prove useful in future matches if conditions seem similar. I always clean my gun thoroughly after every shoot even if I have only put a few rounds through it. I don't use a bronze brush any more. In fact I don't even use a brush at all... I now let the chemicals do the work instead. I use Wipe-Out cleaning products and they seem to work well but I plan to invest in a borescope so I can see how clean the barrel truly is. I always try to start with a clean barrel and then put three or four rounds through the barrel during the blow-off period before record fire. If there is no blow-off period, I go to a zero range to shoot foulers, so that the barrel is fouled and I can trust my first sighter. My aluminum bipod, custom-built by my friend Jerry May, is lighter than a Harris bipod and much steadier. I had it crafted mainly to save weight since I was struggling to make the 8.25 kg (18.15 lb.) F-TR limit. I didn't realize just how wobbly normal bipods were until I started using this wide-footprint design. 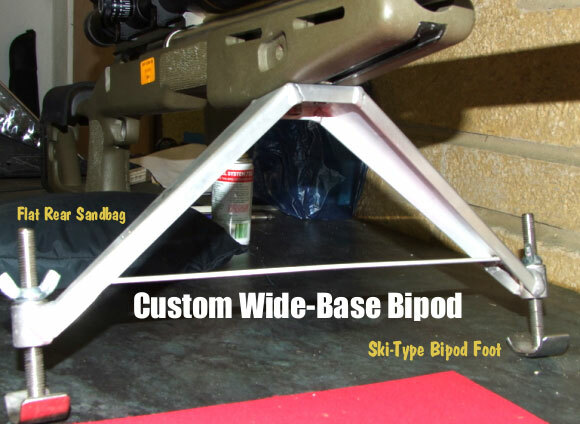 I use this bipod in conjunction with a thin and flat rear sand-bag filled with heavy sand. I prefer to shoot in a very low position, and my low-profile bag and custom bipod allow that. The low position sometimes gives me a neck-ache, but the low position is very stable, even in some of our wicked winds. When setting up at my shooting station, I will always pat the back of the stock down into the bag a couple of times and then push the gun forward and backwards to improve the set-up. Moving the gun back and forth helps to settle the gun and "iron out" the ground a bit especially when the ground is wet. This process also moves any debris out of the way, helping the rifle slide in a more controlled way. The ski-type feet on my aluminum bipod definitely help, as they don't dig into soft ground as would conventional bipod feet. Also, with the ski feet, the gun does slide much better, and it doesn't jump as much as with a Harris-type bipod. World, European, and British F-TR Champion Russell Simmonds wants to share his match-winning knowledge with other shooters through his new Precision Reloading School. The methods and skills he teaches can help shooters create better hand-loads that deliver superior accuracy and shot to shot consistency. Russell will also help his students with the selection of bullets, primers, brass and other components to achieve the best results. Russell plans to offer two courses: a basic program, and a more advanced class. The first level is aimed at people who would like to reload but are not quite confident enough to do it. The second, higher course is designed for competent reloaders who want to take the next step to making higher-quality loads. 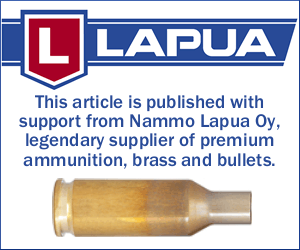 Russell explains: "The basic course will be aimed at people who have little experience or who have never reloaded their own ammo before but who would like to improve upon the factory ammo that they currently use. It will cover the basics of reloading: case preparation, choice of primers, powders and bullets, load development, data keeping, bullet seating. In addition the class will cover key safety issues, as well as gun maintenance -- which is an important part of accuracy. The advanced course will be aimed at reloaders who currently make their own ammo but who want to tune and develop their loads to a much higher standard, so they can extract more performance from their gun. 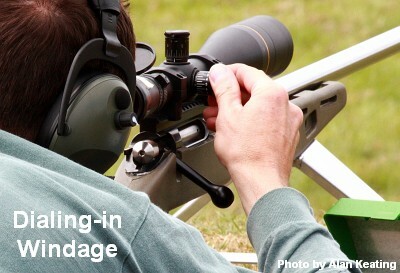 This course will provide more in-depth coverage of powder, primer and bullet choices, bullet-seating depth, neck tension, load development, and again, gun cleaning." Russell expects that many of his future students will be fellow F-Class shooters. However, the skills Russell teaches can apply equally well to other disciplines: "Whether you shoot F-Class or other disciplines, the precision reloading techniques you can learn can help you shoot smaller groups and get higher scores." Likewise, Russell explained, his reloading school is NOT just for competitive shooters: "Precision reloading isn't only for the target shooter. Hunters, pest controllers, and stalkers can also benefit from hand-crafting a more accurate load than they can buy". Each course will encompass a full day. During this time, the students will load their own ammo under Simmonds' supervision. In each class there will be a maximum of three students to one instructor. Reloading tools will be provided for student use during class sessions. The cost of each course will be ?95.00, which will include light refreshments. If you would like to book both courses at the same time the cost would be ?170 (a saving of ?20). Note: All participants are required to hold valid firearms certificates. For more details about the Reloading school and course options, email Russell via rsprs[at]tiscali.co.uk, or from the United Kingdom, you can telephone 01305 854818 between 9:00 am and 8:00 pm London time. Copyright ? 2009, 6mmBR.com | AccurateShooter.com, All Rights Reserved. Topics: Bisley, Diggle, Dorset, Scotland, World Championship, European, British League, F-Class, Choate Machine, Ultimate Sniper, F-TR, F T/R, Farquharson, .308, 7.62x51, Tactical, Target Rifle, Palma, 1000 yards, 1K, Score, Group, Agg, Aggregate, Benchrest, .223, 6mm, 6mm BR, 6BR, Sling, Iron Sights, 6mm Improved, Light Gun, 6PPC, Barnard, Barnard P, Tru-Flite, Tru-Flight, New Zealand, 1000 yards, Leupold, 8-25x, Jewell, Benchrest, BR, Bench Rest, magazine, competition, rifle accuracy, Wind, BC, Ballistics, Hodgdon Powder, Varget, 4895, H4895, Sierra, MatchKing, Berger, Berger VLD, Competition Shooting, Stocks, Leupold Rings, Leupold Stevens, LRT, stainless barrel, reloading, powder, case forming, neck-turning, Lapua Brass, bullets, precision, NC, England, UK.